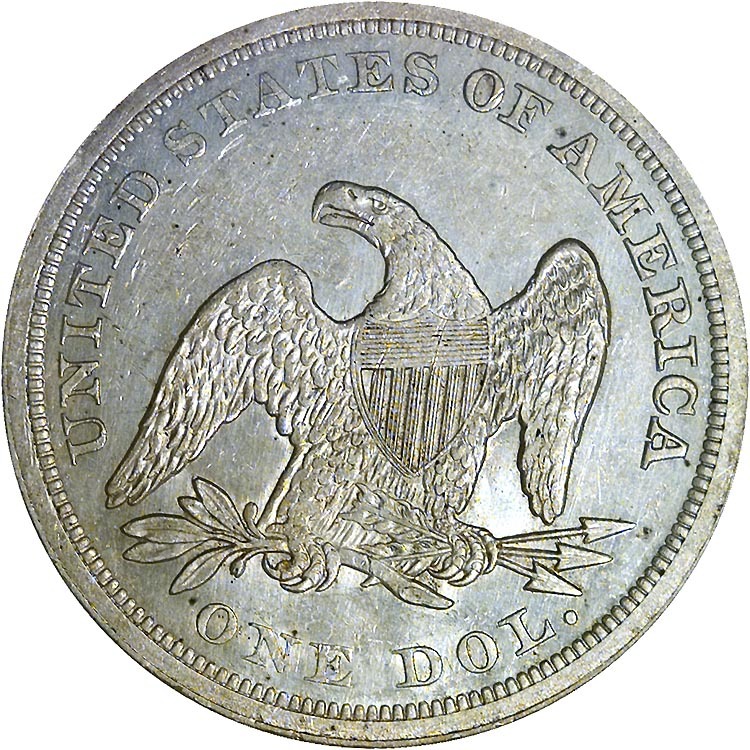 Although the Seated dollar enjoyed its greatest rate of domestic circulation in the 1840s, the issues from this decade were produced in limited numbers due to the country's shortage of silver bullion. 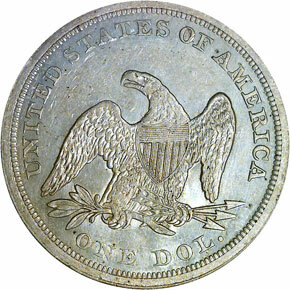 In fact, the latter resulted in the Philadelphia Mint's production of a mere 24,500 silver dollars in 1845. 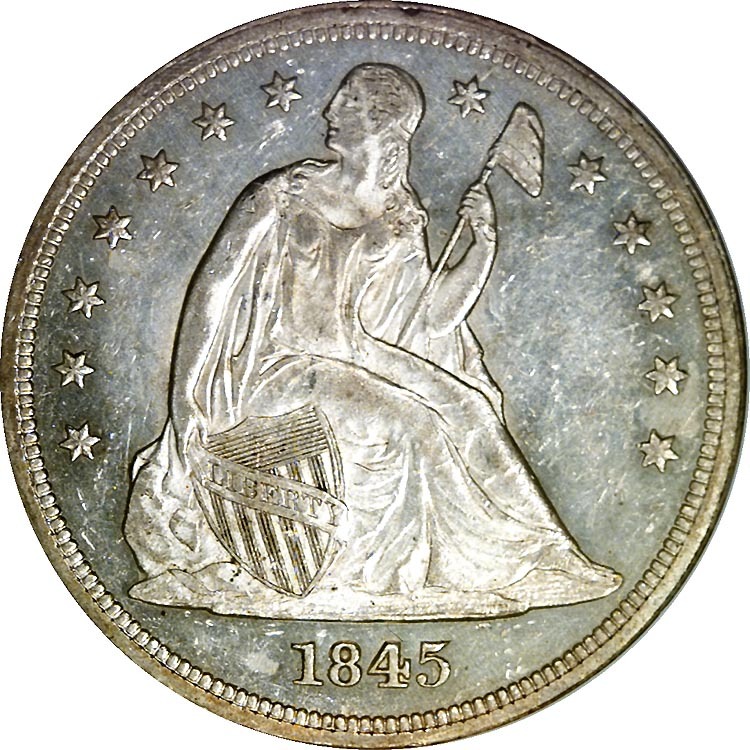 A coveted and conditionally rare issue, the 1845 should be considered a find in original About Uncirculated preservation. 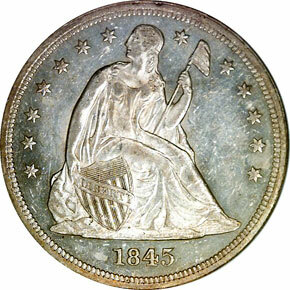 As with most issues in this series, the 1845 is a major rarity in Mint State.